Published on 30. Juli 2018 1. August 2018 by FG ArtTavelint. 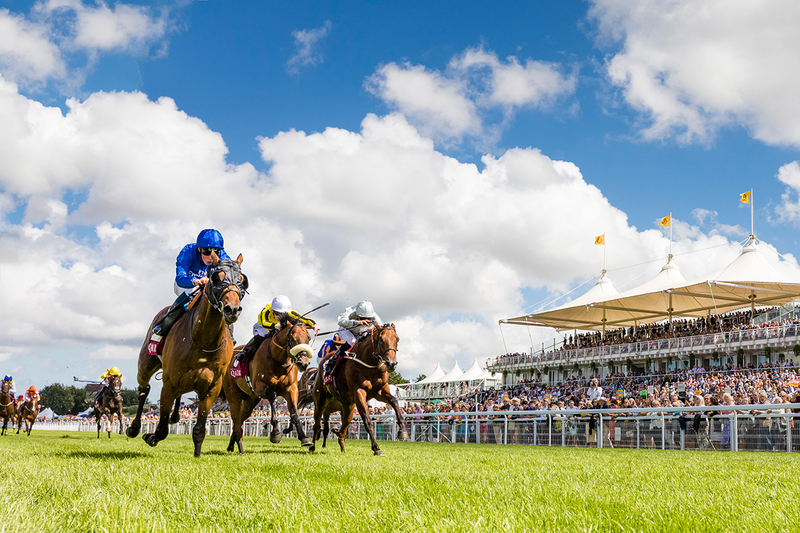 With five days of thrilling action set against the magnificent backdrop of the rolling Sussex countryside, The Qatar Goodwood Festival – popularly known as ‚Glorious Goodwood‘ – is one of the highlights of the flat-racing season. There are three enclosures at Goodwood Racecourse – the Richmond, Gordon and Lennox. Find out more about what you can experience in each of our enclosures below. 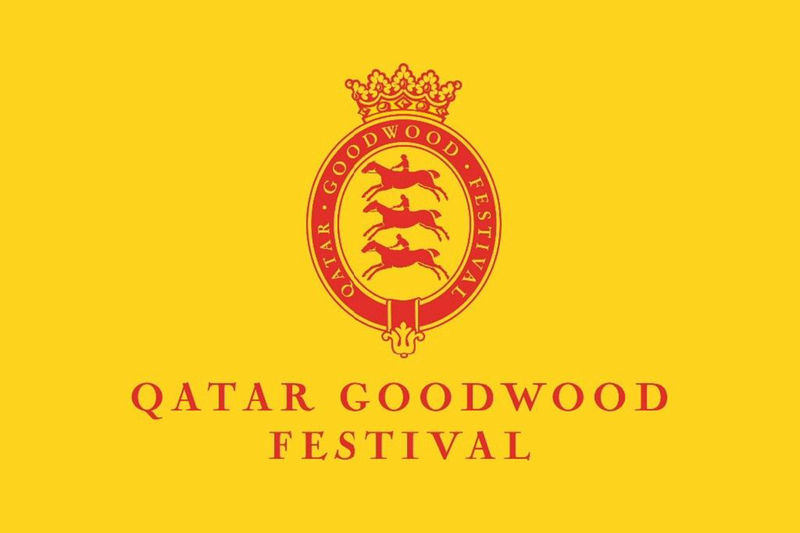 Please note: during the Qatar Goodwood Festival the Richmond Enclosure is reserved exclusively for our Members and their guests. The prestigious Richmond Enclosure features stylish bars including the Champagne Lawn and 1812 Bar, a number of restaurants, private boxes and offers the best vantage points of the Parade Ring and Racecourse – including views directly opposite the winning post as well as covered seating within the March Grandstand. There is a Dress Code for this Enclosure. *Richmond Enclosure patrons also have access to both the Gordon and Lennox Enclosures. 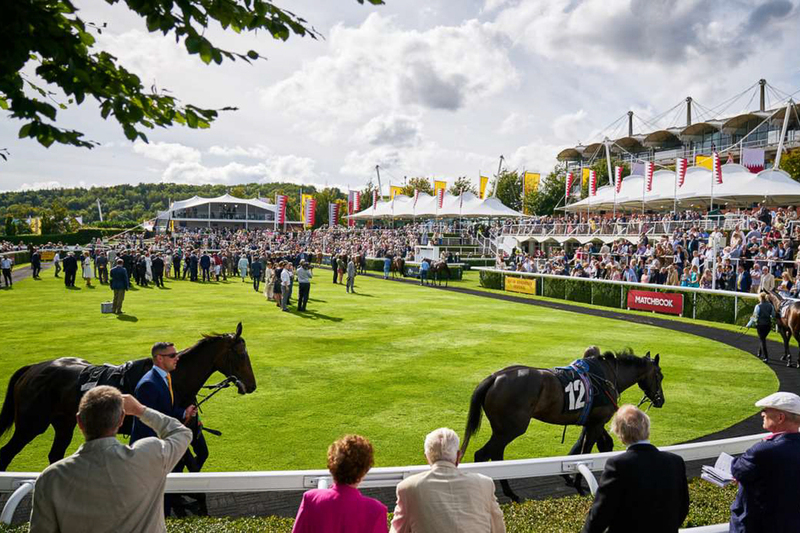 The premier public enclosure at the Qatar Goodwood Festival, racegoers in the Gordon Enclosure enjoy Parade Ring access, standing viewing from within the March Grandstand, covered seating within the Sussex Stand as well as views of the racing from near the winning post. 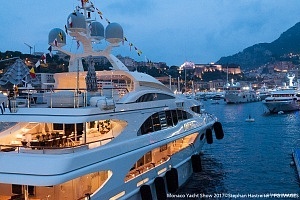 There are plenty of bars and private boxes, the Sussex Bistro restaurant as well as a variety of casual dining options. There is a Dress Code for this Enclosure. *Gordon Enclosure patrons also have access to the Lennox Enclosure. This is our most relaxed enclosure. Popular with families owing to its large children’s playground and expanses of flat grassy picnic spots, the Lennox Enclosure offers exceptional value-for-money alongside traditional food and beverage outlets. Picnics are very welcome; however, no glass bottles or alcohol is permitted. There is a Dress Code for this Enclosure. *There is no access to any other enclosure for patrons of the Lennox Enclosure. Famous for its informal elegance, ‚Glorious Goodwood‘ is the place to be and be seen this summer. 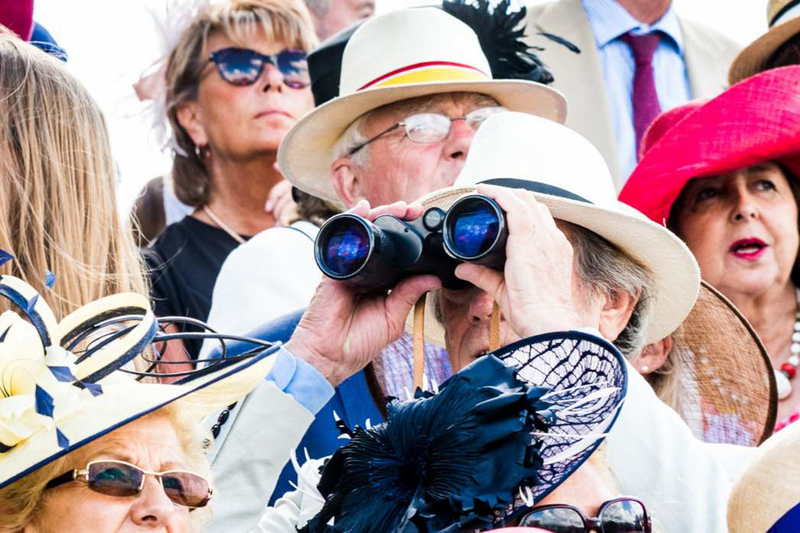 As King Edward VII famously declared, the Qatar Goodwood Festival is a ‚garden party with racing tacked on.‘ This unique, quintessentially English ‚Goodwood‘ style is chanelled by guests through their fashion choices and as a result the feel of the event is smart, but never stuffy. By choosing to dine at the Qatar Goodwood Festival you’re not just guaranteeing yourself mouth-watering food, but also an experience that lives long in the memory.The restaurants all enjoy stunning views, be it across the Downs, out towards the Solent and the Isle of Wight, towards the Parade Ring or overlooking the racecourse itself. 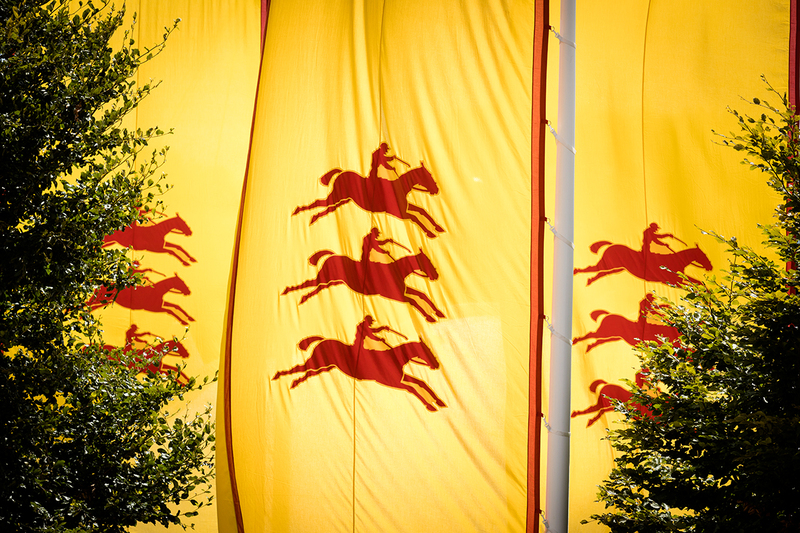 Take a look below to see all of the options available at the Qatar Goodwood Festival. A feast of top quality racing attracts the best equine athletes in the world. 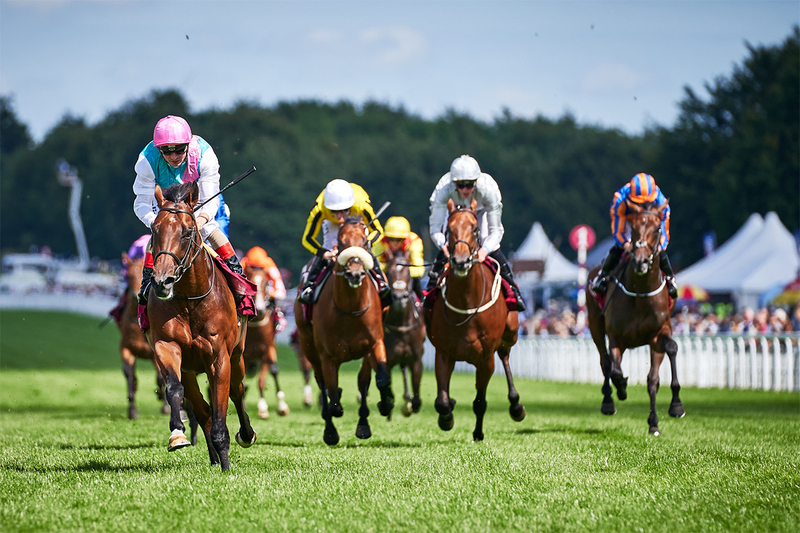 The Tuesday highlight is our newest Group 1, the Qatar Goodwood Cup worth £500,000. Stradivarius narrowly denied Big Orange his third straight win in the race in 2017. The £1million Qatar Sussex Stakes is one of the highlights of the flat racing season and has previously been won by the peerless Frankel, the French sensation Solow and in 2017, by the 20/1 shot Here Comes When. Two further Group races provide the perfect chance to get against the rails for the best racing the sport has to offer. See thoroughbred athletes of the highest calibre strut their stuff in the parade ring before competing in their racecourse duels. 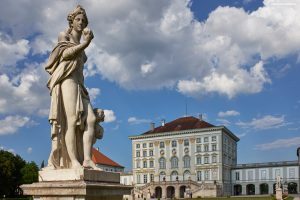 Day 3 – Laydies Day. Ladies’ Day, the most glamorous day of the Festival, is the place to be and be seen. Our ladies‘ amateur jockey race, the Magnolia Cup, presented by Swarovski, will get the day off to an impressive start, raising money for Cancer Research UK. The prestigious Group 1 Qatar Nassau Stakes is the highlight of the eight-race card, worth £600,000. Previous winners include Ouija Board, Midday and Minding. Expect fierce competition as the best of the best compete, against the stunning backdrop of the Sussex Downs. The £300,000 Group 2 Qatar King George Stakes is one of the highlights of the year – taken in 2017 by the hugely progressive Battaash. Friday’s seven compelling races, including four group races, bring the sport’s biggest names to Goodwood. The on track action is complemented with live music, fashion and great food & drink. Not to mention the ‚Best Dressed‘ competition! Ladies, dig out your best blue and white frock! Friday of Festival week sees the return of the ‚Best Dressed‘ competition; a wholly blue and white affair with ladies wearing the signature blue and white colours of our sponsor L’Ormarins. The best dressed lady is chosen by a panel of top judges and the winner receives an all-expenses paid trip to South Africa, a genuine ‘chance of a lifetime’ prize. Feature Race – The Qatar Stewards CupThe £250,000 Qatar Stewards Cup takes centre stage for the final day of the Qatar Goodwood Festival. Previous winners of this iconic sprint include Loch Song and Dancing Star. The six furlong cavalry charge of the Qatar Stewards Cup is a sight to behold, with over 20 sprinters thundering down the Goodwood straight. Stand against the rails to get close to the action, or get among the crowd in the stands and enjoy unparalleled views of the track.